The Italian capital offers romance, history and hot-blooded culture. After over 3000 years of inhabitancy, the Rome’s cityscape is exciting and rich. From Roman wonders like the Colosseum, the Forum and the Pantheon to the stunning monuments of the Catholic Church such as St Peter’s Basilica, Rome is packed full of historical treasures. Amongst these behemoths are hidden gems of elegant piazzas and the incredible fountains, each a baroque showcase around every corner. Any discussion of Rome wouldn’t be complete without a mention of the one of the Roman’s greatest pleasures – feasting. Those in search of fine wine and succulent food will be falling over incredible lively pizzerias and trattorias and there is always the opportunity to dine alfresco. Discover our favourite luxury accommodation in the city of love. Read our guide to the best luxury hotels in Florence. 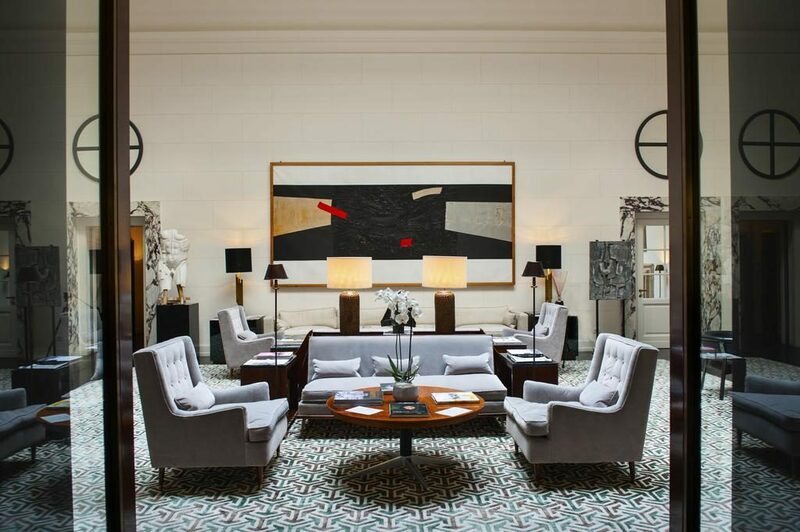 There aren’t many luxury accommodations in the whole of Rome that can top the sheer splendour of this multi-award-winning private townhouse hotel. 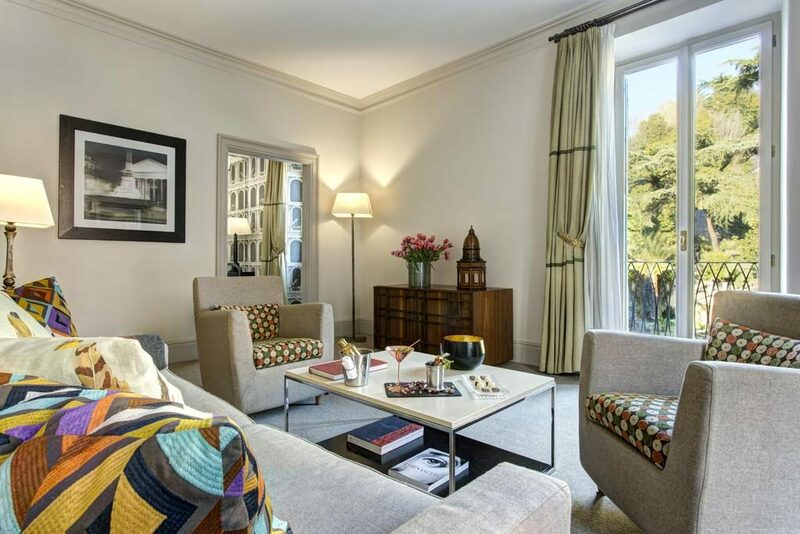 J.K. Place is situated in the heart of the Eternal City and offers five-star accommodation that is within walking distance of the Spanish Steps, Pantheon, and other places of interest. Each of the hotel’s 23 double rooms and seven suites was designed by world-renowned Italian architect, Michele Bonan, and decorated with upscale furniture by some of the best Italian artisans. The J.K. Roma experience is pet-friendly and features all the amenities that one would expect from a world-class hotel. Imagine checking into a historic residence during your next visit to Rome, complete with elegant drawing rooms, regal bedrooms, a grand library, and genuine antique furnishings. Villa Spalletti Trivelli has all the bells and whistles to make you feel as though you were a guest at a stately home in the early 20th century, whilst simultaneously providing all the necessary modern amenities to make your stay as comfortable as possible. This five-star hotel doubles as an urban villa retreat and features a majestic Italian garden and relaxing spa to help guests unwind after a long day of sightseeing. 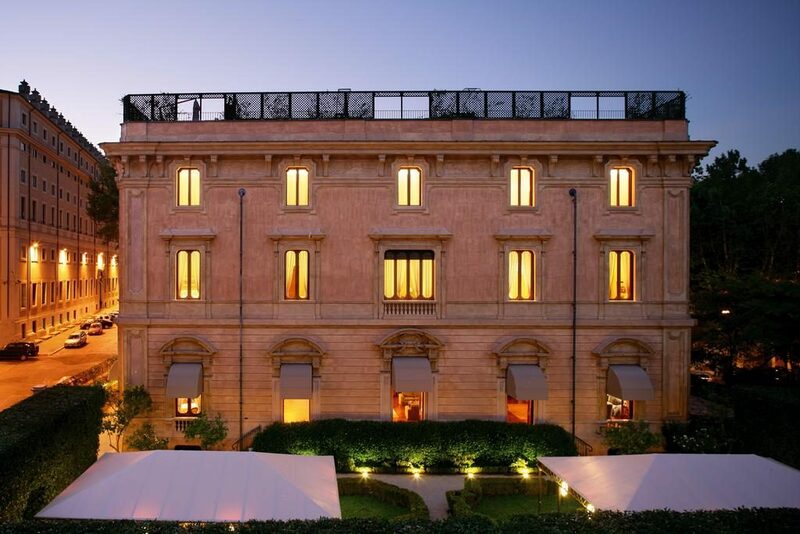 Named after Count Goffredo Manfredi – one of Rome’s most influential public figures – Palazzo Manfredi is the ultimate luxury getaway for anyone who’s ever wanted to experience the Colosseum and other fabulous attractions from their doorstep. Yes, this five-star boutique hotel is so close to the world’s most famous amphitheatre that you can practically hear the gladiators of old from within your suite. 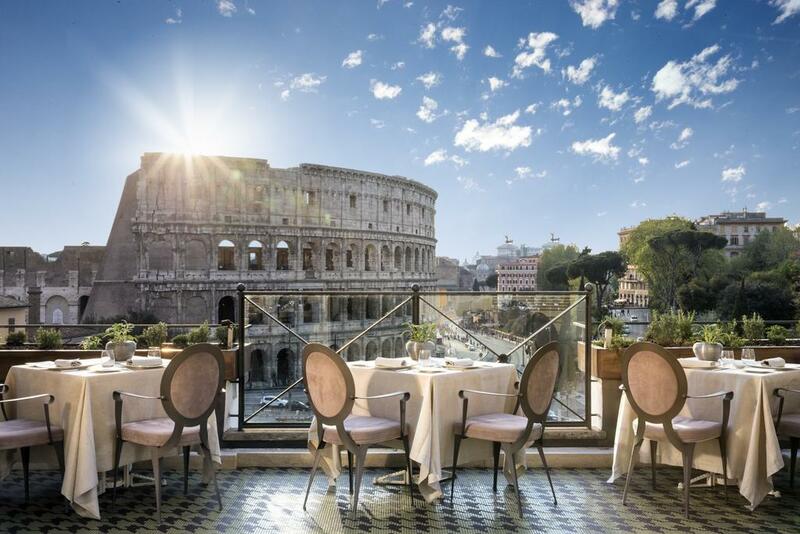 As such, Palazzo Manfredi offers spectacular views over Rome’s ancient sites and is only a two-minute walk from Colosseo Metro Station, making travelling to and from the hotel a breeze. The glamorous Hotel de Russie was established in 2000 and offers a luxury hospitality service to wide-eyed travellers from all around the world wanting to experience Rome in all its glory. The hotel is located on the historic Via del Babuino, only 50 metres from Piazza del Popolo, and is within walking distance of the city’s main tourist attractions, such as the Spanish Steps. Guests can expect top-notch amenities, as well as a host of activities that are sure make their stay as comfortable and memorable as possible. These include a secret garden, restaurant, spa, and fitness centre. “Hospitality is an art and Portrait Roma has made it a masterpiece.” This is the level of excellence that Portrait Roma has been delivering for years as one of the Eternal City’s most stylish five-star establishments. Another of Michele Bonan striking designs, Portrait Roma epitomises luxury and elegance, and is just a short walk from the Trevi Fountain and the Spanish Steps. The hotel is also one of only 10 in Italy, and 26 in the whole of Europe, to have been awarded a coveted five-star rating in Forbes Travel Guide. What’s more is that Portrait Roma has managed to achieve this feat twice. 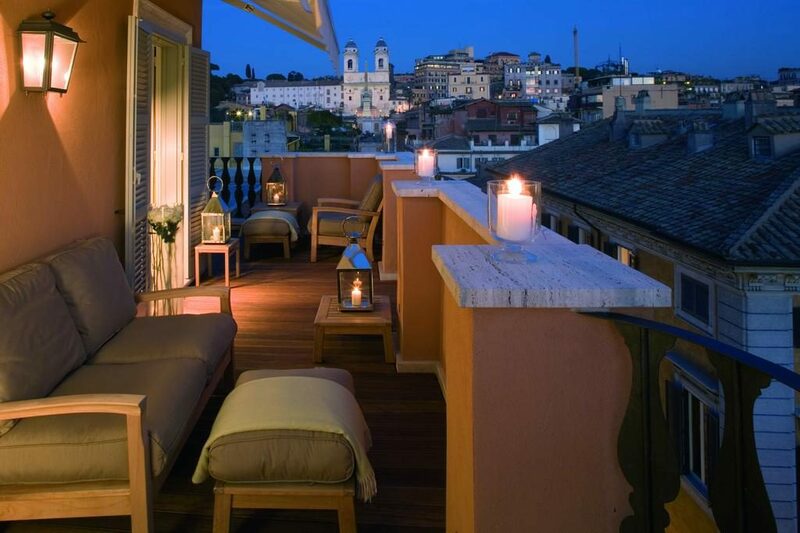 Hassler Roma, or Rome’s Stairway to Heaven, as the legendary hotel is popularly known, is located at the top of the Spanish Steps in the heart of Rome and has been serving its clientele for the past 125 years. 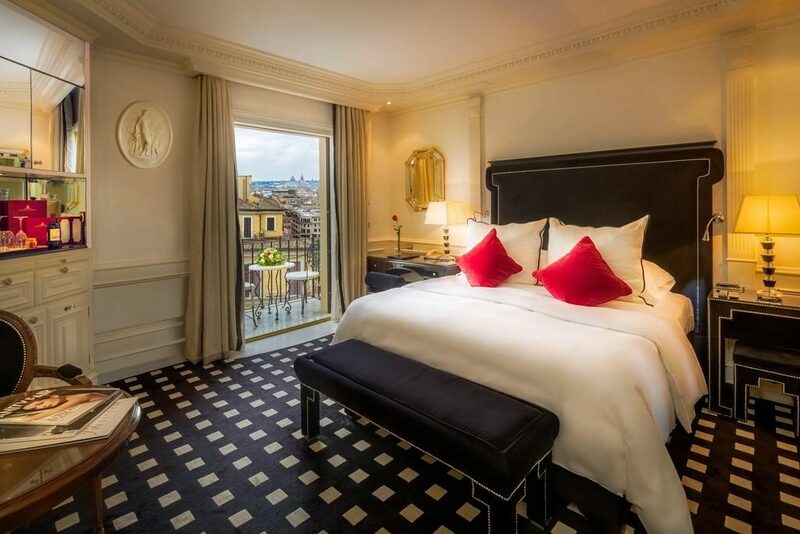 The hotel overlooks one of the city’s most famous squares, Piazza di Spagna, and offers guests a central, five-star hub for all their adventures in and around Rome. A total of 87 luxe rooms is available with only the best amenities, along with a sauna, fitness centre, and a Michelin-starred restaurant. Hassler Roma prides itself in being unpretentious and offering a warm, personal hospitality service. The friendly and multilingual staff of Aldrovandi Villa Borghese always treats their guests like royalty, which is very fitting, seeing as this five-star urban retreat is a former 19th century Umbertine palace. 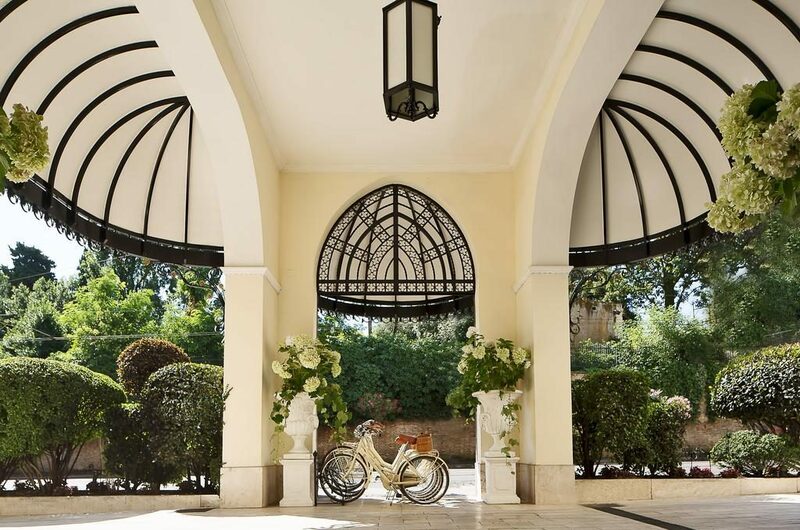 The hotel overlooks Villa Borghese and sports lush, English-style gardens, complete with water features and pavilions, that are sure to transport guests to a place of inner peace and tranquillity. On the inside, the suites absolutely ooze luxury with solid marble bathrooms, antique furnishings, and only the best amenities. Even though the hotel isn’t located in the city centre, the facilities more than make up, as guests can look forward to a spa, sauna, fitness centre, and a Michelin-starred restaurant. Known as Rome’s first luxury hotel, The St. Regis has been in business since 1894 when Swiss hotelier, César Ritz, welcomed the first guests about 125 years ago. The hotel epitomises world-class accommodation and is situated in the city centre, overlooking Piazza della Repubblica, next to Termini Train Station, as well as the Baths of Diocletian. The term ‘old world grandeur’ best describes the 161 rooms and the level of service provided by highly-trained staff. 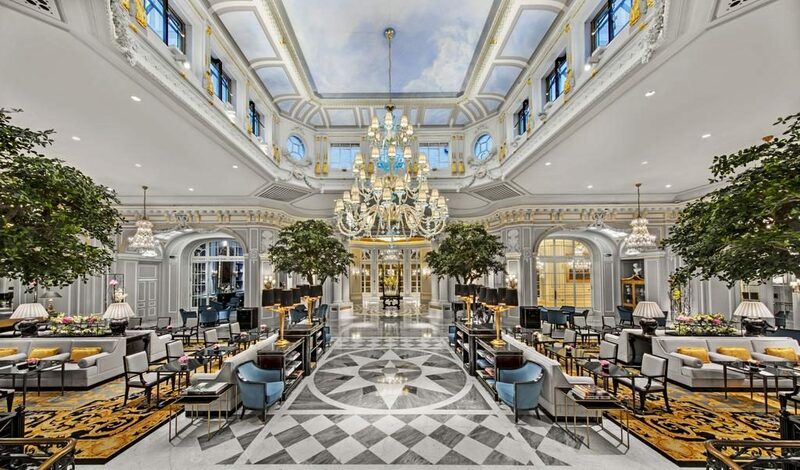 It must be noted that The St. Regis Rome is regarded as one of the world’s finest hotels and that it has always been known for its great variety of pet-friendly facilities and services.